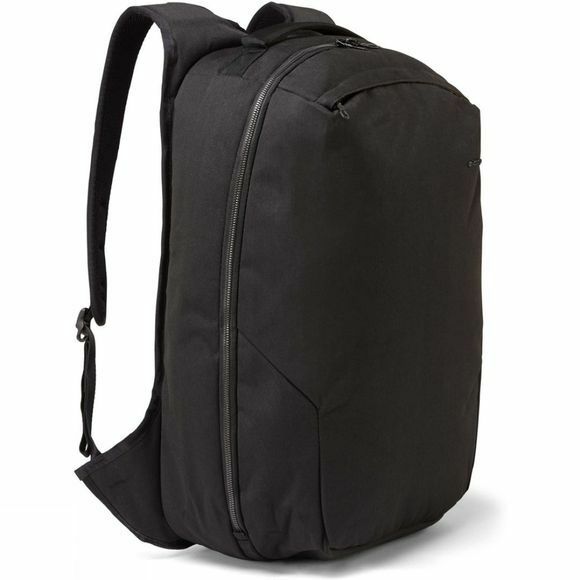 The name of the ART Overnight Bag from Ayacucho says it all: it is the perfect rucksack for an overnight stay. Firstly, the bag is made of 640 waxed Polina, a strong material that is also water repellent, and the zips and clasps are metal. Secondly, the Overnight Bag is very practical to pack, thanks to the zip that splits the whole bag in two. You can open out the bag completely, giving you a good overview of the contents, and easy access to everything. The main compartment also contains a mesh compartment and an organiser, which you can put all your smaller items in. The front compartment has a fleece lining, so that your telephone and sunglasses will come to no harm if you carry them in there. 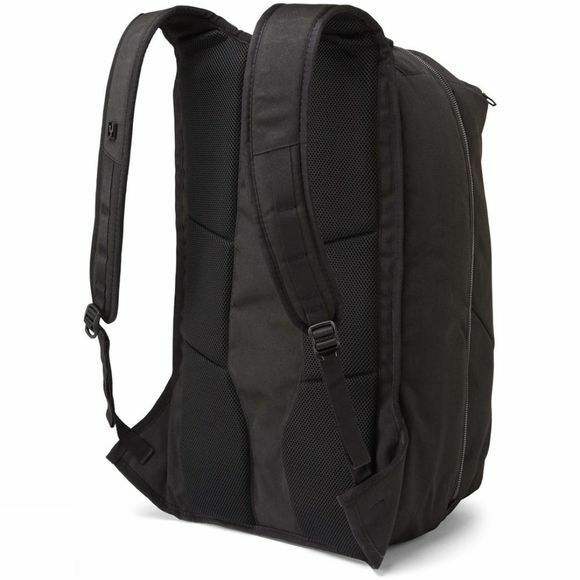 From the side of the bag, you have access to a padded laptop compartment, so you can always quickly get at your laptop without having to open the whole bag. The back system is also padded for your comfort, and uses wire mesh for better ventilation. This prevents your back overheating when you're out on a nice strenuous hike with your rucksack. Its 33-litre capacity means it is large enough to hold everything you need for an overnight stay. And it is suitable to use as hand luggage, if your overnight stay requires a plane to get there.